How will the Foundation be funded? What action is the Foundation taking? Connecting ‘people’ and ‘devices’ both within these domains and between and across them, is proving ever more important to individual citizens and society at large. Such ‘digital connectivity’ is delivering ever greater socio-economic benefit to citizens, institutions and corporations – enhancing life, work and play today and opening up new opportunities tomorrow for enhancing a civil society. Each of these three basic technologies and the products derived from them are arguably subject to the miracle of Moore’s Law – doubling in power or capacity every couple of years with a commensurate drop in cost. 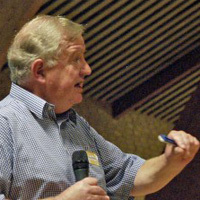 For example, in 1976, a gigabit of hard disk would have cost £350,000, by 2011 this had fallen to 3.5p; or 1 Mb of RAM memory costs less than a penny today, but in 1976 that would have set you back £20,000. Everything, including the cables and radio components that enable devices to be connected, have been similarly impacted by increasing power and falling costs. This means that to benefit from high capacity connectivity in ‘my private domain’ or home and work domain, all that is required is access to these ever cheaper components which, when linked together, create a ‘network’. So syncing an iPhone with a laptop in ‘my private domain’ or sending a page of text from a PC to a printer over the home or work network simply requires direct access to the hardware components – there is no need for a ‘middle man’ or ‘service provider operator’ to effect connectivity. Once these physical components are in place and financed, the digital stream of data is sent, processed or stored as nothing more than 1’s and 0’s. A billion dollar loan note, as far as the network and its connectivity components are concerned, is indistinguishable from Mozart’s 40th Symphony, a picture of the Taj Mahal or an email saying that you will be late home tonight. 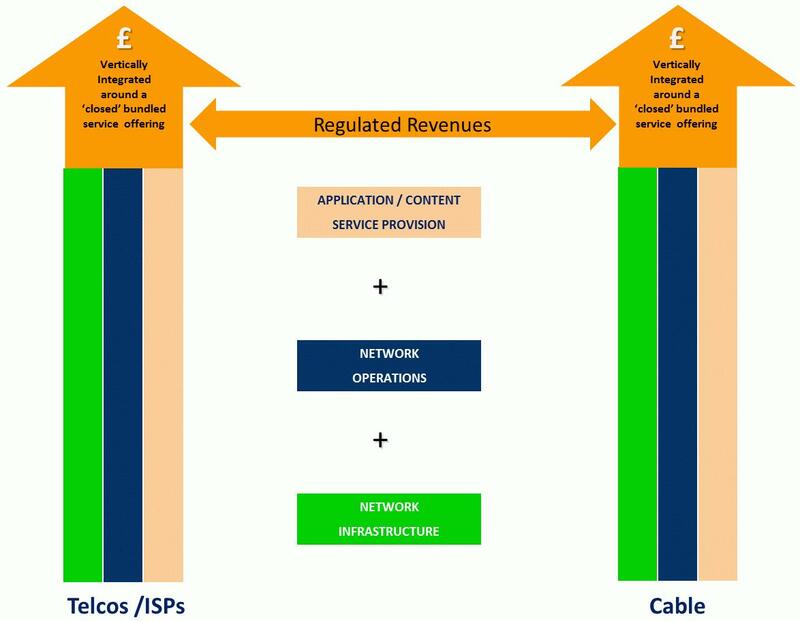 This principle of ‘network neutrality’ ought to underpin the ‘networks’ which provides the digital connectivity across and between the four domains identified above. But one of these domains is starved of Network Neutrality – the LOCAL public access network that should connect our communities, towns and cities. Throughout the world, this local access network remains entirely under the ‘closed’ and captive control of the cartel of telecoms and cable TV service providers. 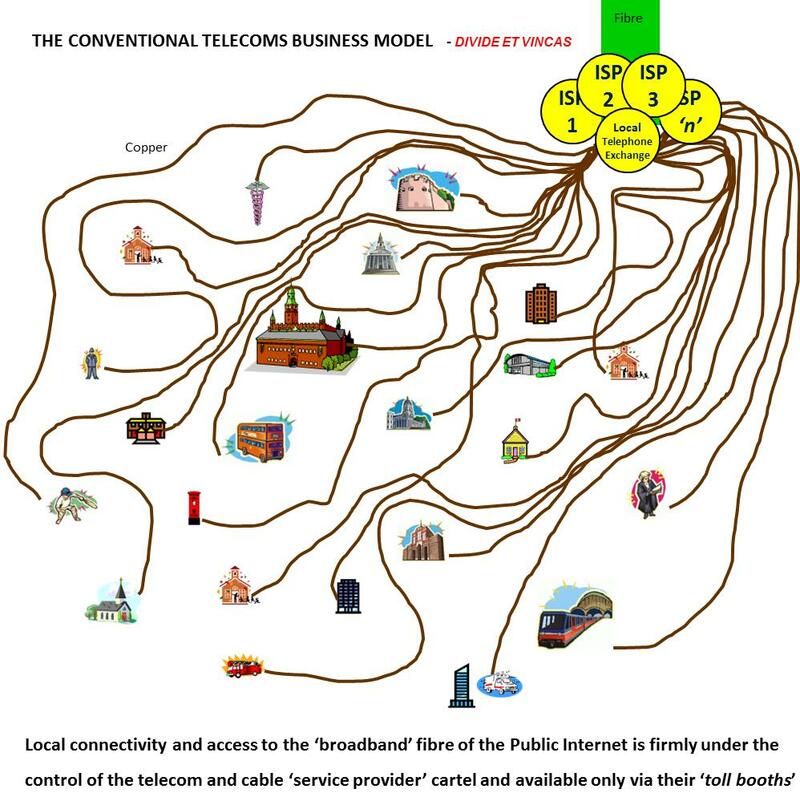 Communication beyond the home or office to anywhere, including access to the Public Internet, is entirely under their control and subject to payment of a hefty ‘toll’ charge, entirely unrelated to the underlying cost of the physical infrastructure deployed. The world pays over $2 trillion dollars a year for the privilege of dealing with this local network capture. So, while connectivity in our private, home and work networks as well across the public internet, becomes ever faster, easier and cheaper – thanks to open access to the digital technologies identified above – there remains the missing link of local connectivity around our communities and cities. Connectivity here remains under the control of what is, in effect, a class of state supported ‘private toll booths’. These ‘service providers’ seek, within limits imposed by a sector specific ‘regulator’, to monetise the ever increasingly abundant capacity of these digital technologies. 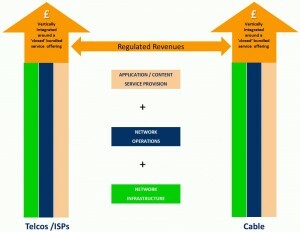 It is the OPLAN Foundation’s contention that the greatest wealth creation opportunity and general economic benefit is derived from financing, structuring and operating these three functions independently (as is already the case of the ‘net-neutral’ public internet and our home and office networks). 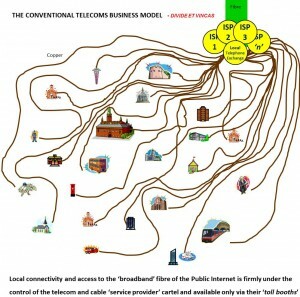 As already inferred, the OPLAN Foundation and many others, believe that the greatest wealth creation opportunity and general economic benefit (including to the shareholders of the incumbent telcos) is derived from this multi-trillion investment being undertaken in accordance with a new ‘open access’ business model. In simple graphic terms, the two figures below show the radically different topography of existing local access networks compared with the OPLAN model. Over the years, OpenPlanet has accumulated substantial understanding of the ‘must have’ and ‘must avoid’ elements of the complex mix that goes to deliver an OPLAN to a particular city or community. While there is no absolute definition of an OPLAN nor ‘blue-print’ for delivering one, OpenPlanet has developed a list of what it regards as the key defining characteristics of an OPLAN. The OPLAN Foundation, is part of a European wide consortium that has been chosen by the European Commission to undertake a significant research project into community communications networks. WSFII is an ongoing international process of multiple, local action oriented events which provide space for people to come together, to share experiences, present practical solutions, to learn and to build all kinds of Free Information Infrastructures.